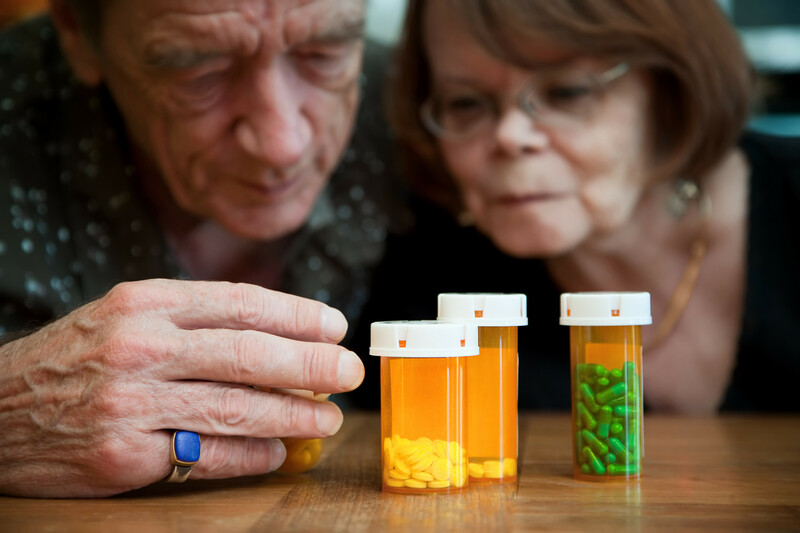 Side Effects in Seniors: Medicine or Aging? Happy Halloween week! One of the scariest things you can face as a caregiver is a new, devastating symptom in your parent—that seems to make no sense. At AARP.org, blogger Amy Goyer says that sometimes, it’s the problem solvers that cause these problems. And it’s often up to the caregiver to figure that out. I knew this shouldn’t happen overnight. I looked up side effects for all of the 12 new drugs she received when she was released from the hospital, and thought it could be a side effect of a heart medication. I called her cardiac electrophysiologist who said the shaking was indeed likely caused by the new medication and it should be cut back immediately. By two days later, the shaking had stopped. Goyer uses her caregiver experiences—this and another solved mystery—as a cautionary tale, warning that caregivers must be vigilant and educate themselves about side effects in seniors. But she also acknowledges that this can be a daunting responsibility. One way to make it seem a little less so is to prepare ahead of time. To that end, consider keeping a list of the side effects from all your parent’s medications. (We offer a section for that in our free Personal Health Record.) That way, you’ll have at least the main information at your fingertips.